NEWS FLASH!!! International Equestrian Federation (FEI) Sends Jayne Ayers on World Dressage Challenge Tour! 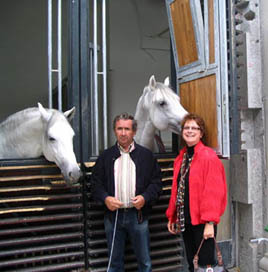 In September, 2006, Jayne was invited to judge Group 5 of the World Dressage Challenge. Joined by another International Dressage Judge from Poland, Margaret Hansen, she traveled to Russia, Belarus, Ukraine, Croatia and Hungary, judging a competition in each country, and then giving a seminar and riding clinic for the competitors afterwards. The results from all five countries were then combined, to crown both team and individual champions for the Group. 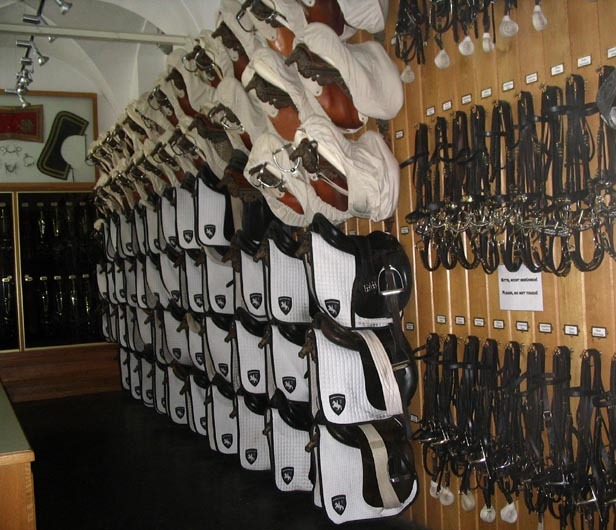 It was fascinating to see how dressage is developing in these countries, and get to know the wide variety of breeds of horses used for sport there. Russia had some fabulous Russian-bred dressage prospects competing at Prix St. Georges level, while Ukraine had more warmbloods imported from Germany. Quality of accommodations and food varied greatly from country to country – from wonderful to horrific!! But the riders in all countries were keen to learn, and participated enthusiastically in all activities. Jayne has lots of good stories to share with her students. Jayne has been invited to go on the 2007 World Dressage Challenge Tour to Group 10, which includes Antigua, Barbados, Bermuda, Haiti, Jamaica, and Trinidad……..in February! Though the judging and teaching are hard work, the warm climate should be a welcome break from Wisconsin’s winter. As a member of the International Dressage Judges’ Club, Jayne was invited to the General Assembly and educational programs held for several days at the Spanish Riding School (SRS) in Vienna, Austria, in October of 2008. Since the SRS is right in downtown Vienna, she was able to stay at a charming small hotel only a block and a half away. This made walking to museums, shopping, and restaurants easy. Lovely autumn weather made it a pleasure! 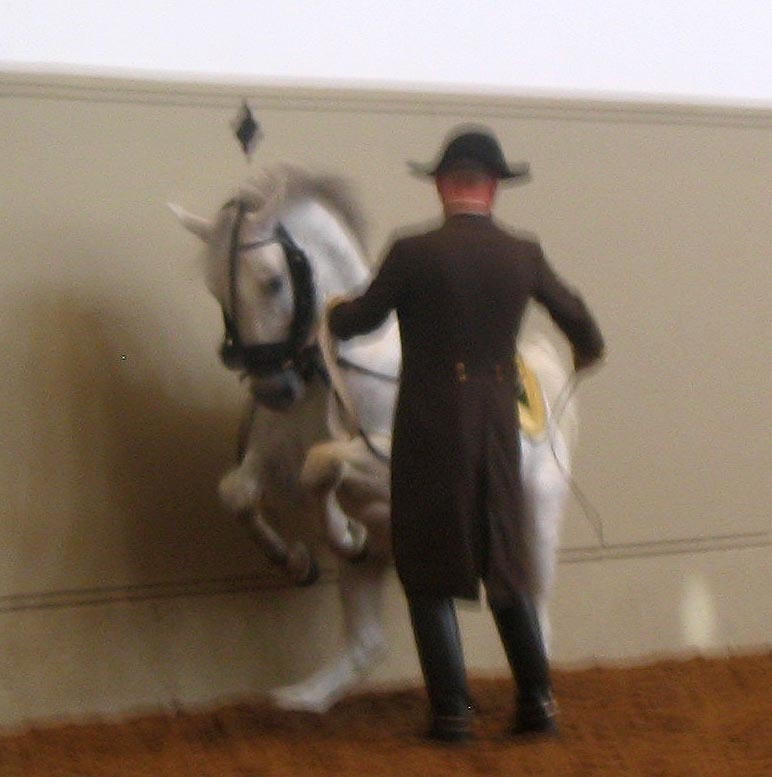 Over 60 judges from many countries attended, and were able to go to a performance of the world famous Lippizaner stallions on the weekend as well as attend a morning training session on a weekday morning. 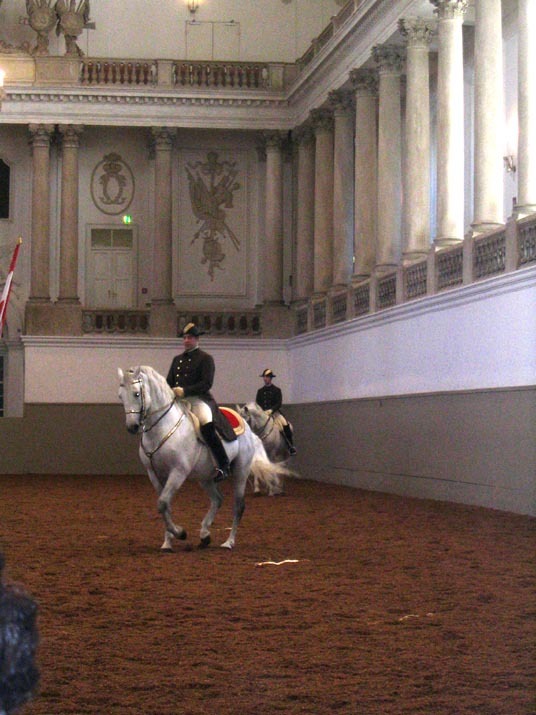 In addition, a special afternoon program about the training of the stallions was held just for the IDJC members. Meetings and panel discussions were held in the reception areas of the SRS, in elegant rooms which were once the apartment of Col. Alois Podhasky, who was the director of the school for several decades. 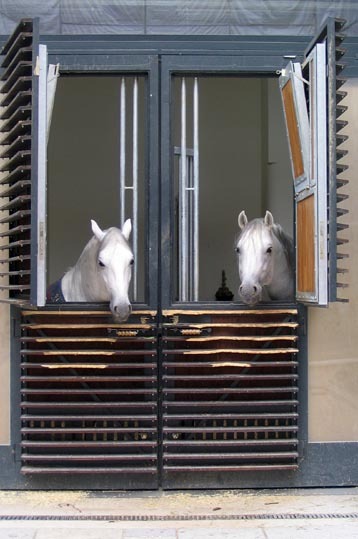 A tour of the stables and a chance to meet the stallions “up close and personal” was a highlight of the experience. Two lovely dinners were planned for all the judges. 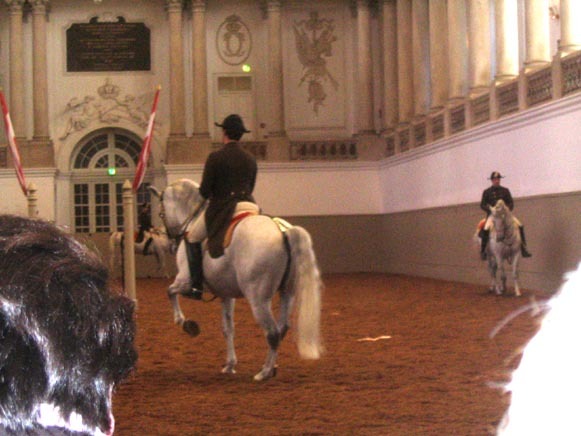 One sponsored by the Austrian National Equestrian Federation, and was held at an old country “hunting lodge.” It featured traditional Austrian dishes and lots of wine. 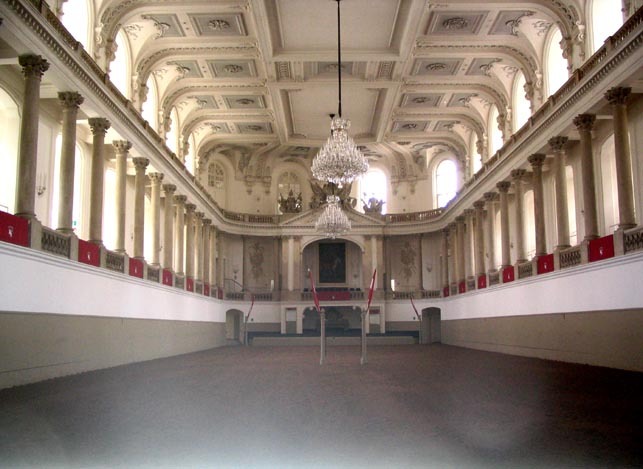 The other dinner was at a historical and very elegant building owned by the city of Vienna, within walking distance of the Spanish Riding School.